Up until a week ago I was totally loving the lighter evenings that get longer each day as summer draws closer. It feels like I have extra hours in the day to do things. So, this week, I shall be taking a trip to the local soft furnishings store to buy him the blackest of black out curtains I can find! Bedtime, at the normal time, will hopefully resume thereafter! 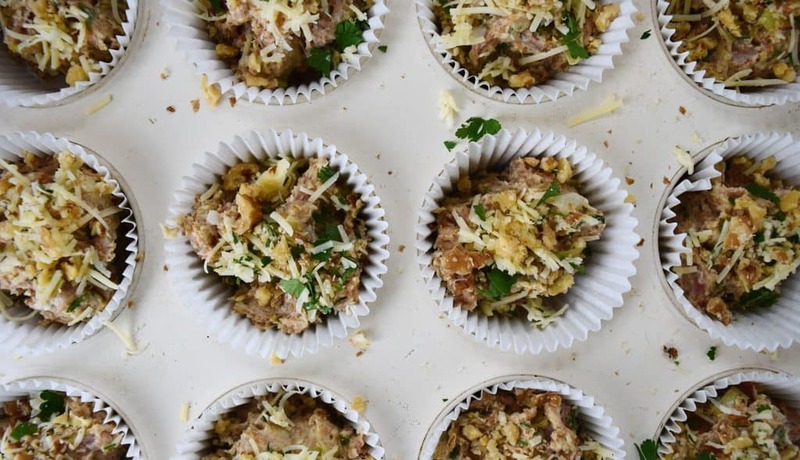 My (ever so slight) cookie obsession turned into a savoury muffin obsession this week. 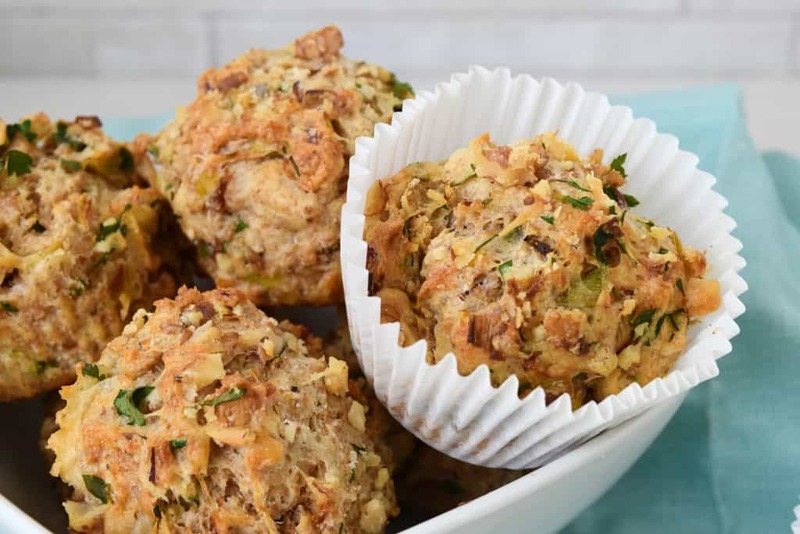 So these Bacon and Cheddar Muffins were created. 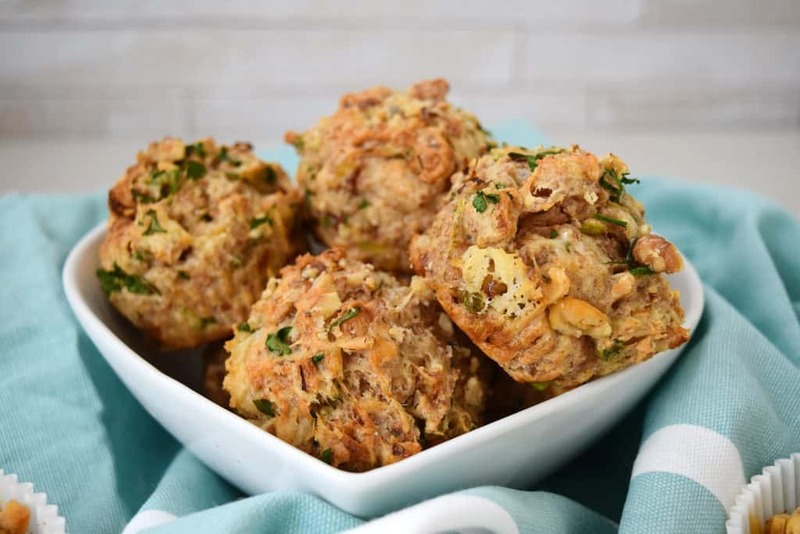 I am especially loving savoury muffins right now, since they feel slightly more healthy than their sweeter counterparts. Along with these lighter evenings comes the realisation that summer is on it’s way and I am longing for that perfect bikini body! Cakes and sweet things certainly won’t make me any closer to achieving that. But don’t worry, I won’t be going to the crazy extremes of giving these things up altogether. I just need a little restraint when sampling my kitchen goodies (ha!). I know I am a total cheese addict and these of course, contain cheese, but bacon and cheese together make the best combination! You can eat these cold or hot, whatever your preference. 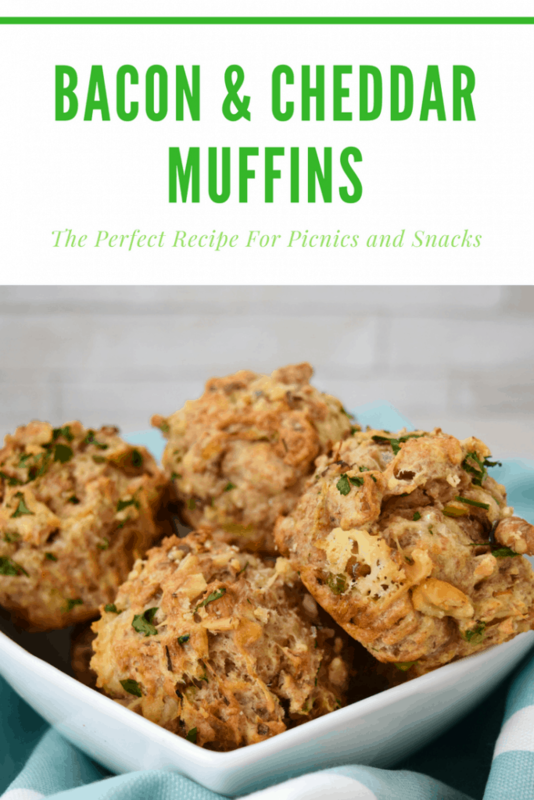 They make the perfect picnic snack to pack for days out. 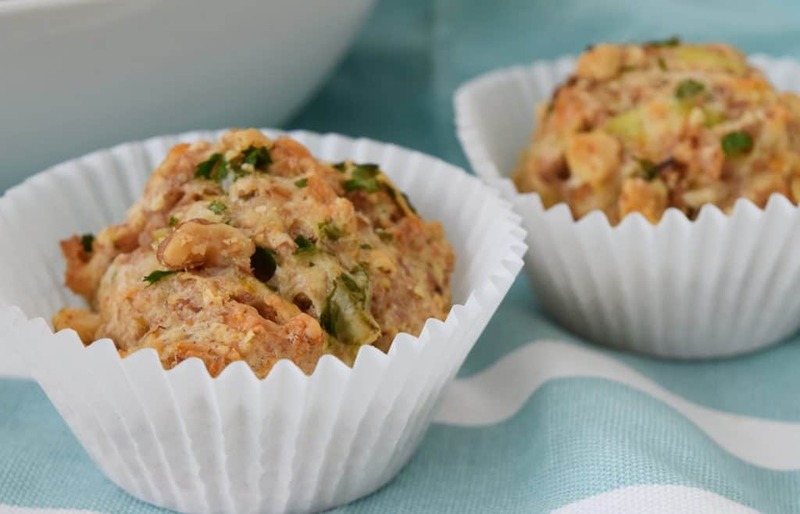 There are endless opportunities to get creative with muffins. Just be sure to remember the golden rule of muffin making and that is don’t overmix! You don’t want to build the gluten too much. Otherwise your efforts will be wasted. Just mix enough so that everything is combined and then bake! Combine the flours and add the baking powder, mix through. Peel and cube the potato and boil until soft, remove from the heat, drain and mash. Cook the bacon in a frying pan with a little oil until it begins to crisp. Chop the leek and add to the pan, cook until it becomes soft. Combine the milk, butter and eggs and add to the flour, mix a little until it is combined but be careful not to mix beyond this point. Chop the bacon into small pieces and add it to the mix along with the leek, potato, cheddar, parsley and pepper. Spoon the mixture into greased muffin cases about 3/4 full. 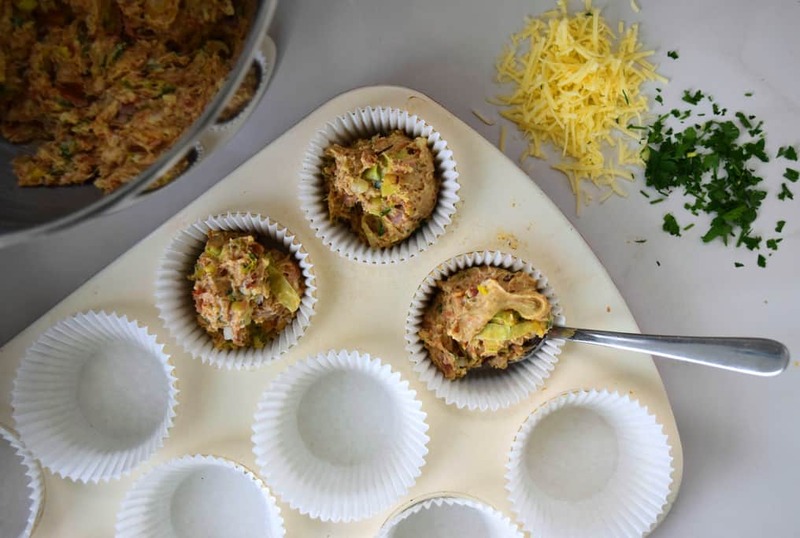 Sprinkle each muffin with some walnuts and a little cheddar. Place in a preheated oven at 180oc (160oc fan assisted) for 20-25 minutes. Remove from the oven and allow to cool on a rack before serving, can be eaten warm or cold.